Keeping the walls in your house, restaurant, bar or office neat is very important. Covering the walls in your house with rose gold 3D wall panels will truly enhance the beauty in your house. The 3D wall panel is a modernized wall covering product that has a PVC board at the back and you can use it to cover the walls. They are widely used in modern and contemporary wall design such as, living room, bedroom, TV background, reception desk front in office and around the VIP area in the club. 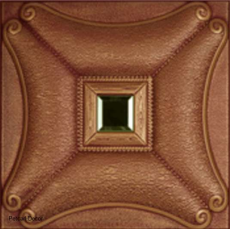 The process of installing the leather wall panels is simple and cheap. These items are made from high quality materials and can also be used in studios since they are soundproof. If you are wondering what you can do to make your walls more interesting, then look no further than Petcarl-Décor.co.ke. When you buy wall panels from us, you can be confident that you will get the best possible quality. Try us today and you will never be disappointed.